The Campus Ministry team, along with faculty and staff, offer countless opportunities to enhance the spiritual formation of our students. These opportunities include weekly Mass, prayer services, retreats, and service to the school and the wider community. The Upper School supports a wide array of service apostolates as well as many service projects throughout the year. Student-led and supported by our faculty, these apostolates are a prime opportunity to form generous--magnanimous--servant leaders, to give back to our local community, and to serve those in need--and above all, by serving those in need, to serve Our Lord himself. Note: Students may receive community service hours for the direct service they complete – this does not include time spent in meetings or in preparation. Focuses on the "neediest" of Atlanta - the hungry and homeless. We visit the soup kitchen/homeless shelter, and work with the Atlanta Food Bank. This is primarily a junior high apostolate with support from high school student leaders. Supports the pro-life cause in various ways such as monthly rosaries, participation in the Atlanta Right to Life speech contest, and a trip to the Washington, D.C., March for Life in January. Girls work to provide fashionable and modest clothing to the teens and families attending Mass at Centro Catolico. They will collect and organize donations of clothing and then distribute them once a month. Students are immersed into real world situations where great help is needed in order to improve the basics of life. Students will be actively engaged in assisting those less fortunate through works of home repair and/or construction both in the Atlanta area and during a one-week summer trip out of Georgia. Brings together HSP students of all ages, inspiring leadership in Upper School students to guide Lower School students in leadership formation and activities throughout the year. 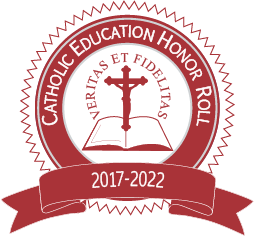 As an honoree of the Catholic Education Honor Roll, HSP subscribes to the Principles of Catholic Identity in Education.